A group of 12 smiling women pose for the photographer, clutching a white certificate in hand. 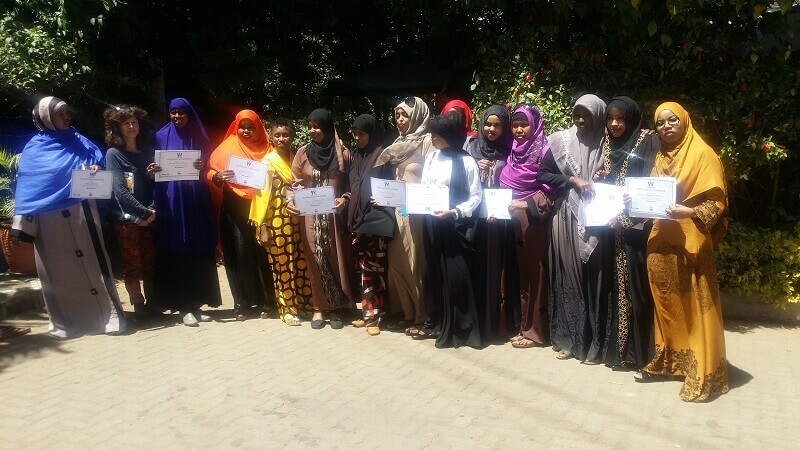 The women are all journalists from Somalia and the smiles can be attributed to the fact that have just completed a leadership programme called ‘Women in News’ (WIN) and now have the paper to prove it too. Behind them is a series of trainings and discussions aiming at empowering their professional journalistic skills and sharpen their leadership competencies. Ahead of them is the exciting task of finding their own individual ways to incorporate all the newfound knowledge into their media careers. Louise Tunbridge also told participants not to be complacent. She said that there was a lot of work to do in implementing what they had learnt and convincing their bosses that they have got what it takes. She urged the women to continuously learn and yearn for more knowledge not just by going back to school but also by taking full advantage of what resources are available online. “Keep on building and growing yourselves. The more you know, the better journalists you become. You have received a lot of tools and motivation and you will need to sharpen those tools and master how to use them. But do not stop there, continue to gain knowledge and develop yourselves,” Tunbridge told the graduating class. Over the course of the training participants were introduced to – among many things – marketing and finance, the need to be gender aware and the importance of mastering social media. 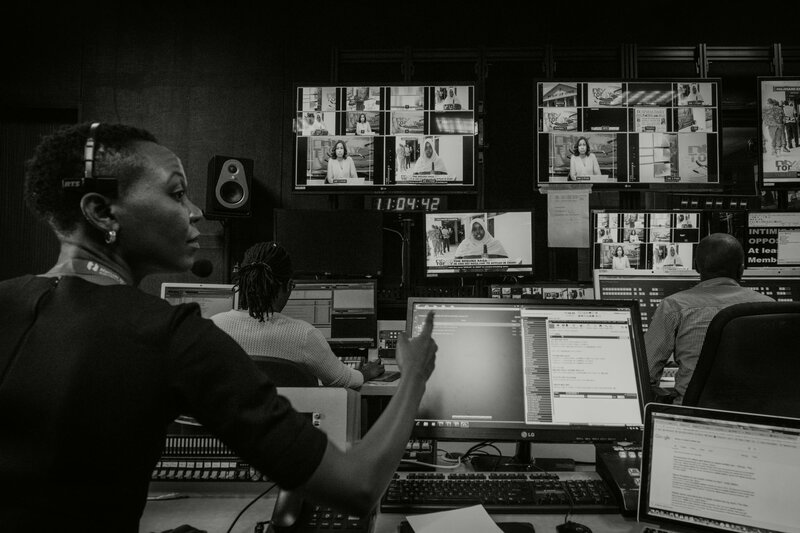 Indeed, with a nod to digital developments and changing media platforms lead trainer Paula Fray from the World Association of Newspapers and News Publishers, (WAN-IFRA) told the women that “it is not enough to have more women in senior positions in media. Women also need to explore the potential of telling high impact stories to make a difference – And this means not just telling the same old stories in the same old way. According to Paula Fray the conditions for practicing journalism in Somalia are very unique, but also share similarities with other parts of Africa. 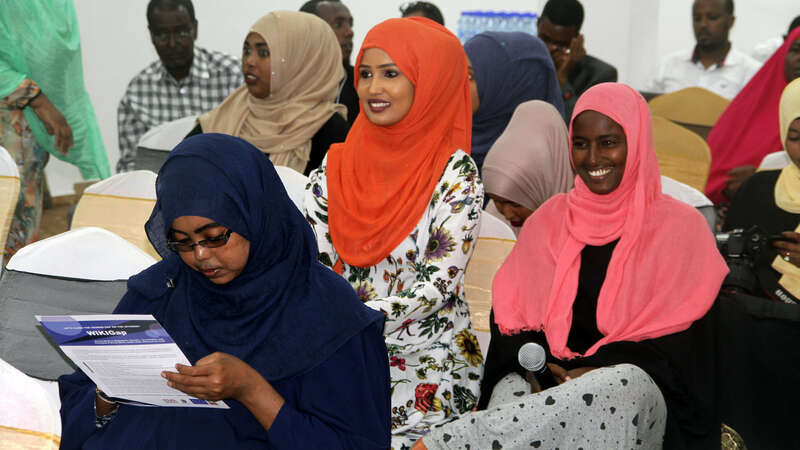 The day to day challenges of pay gaps and prejudices that women face in the media in Somalia are similar to those faced by women in the media elsewhere. Saynab Mohamed and Fowzia Bare both agree the WIN programme was an transformative experience for them individually. “Our expectations were met and then some more,” said Fowzia Bare. 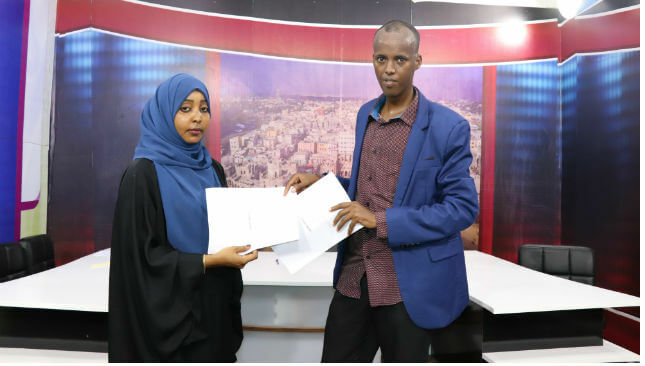 Motivated by the desire to share with other female journalists back home the women have formed a network which will be their vehicle for helping other media women in Somalia. The WAN-IFRA WIN programmes operates in 12 African countries and parts of the Middle East with the joint support from the Swedish International Development Agency (SIDA) and the Norwegian Ministry of Foreign Affairs (NMFA). 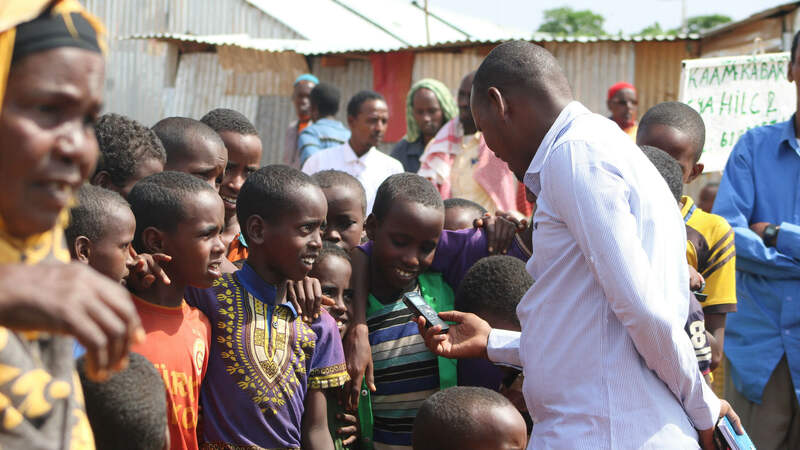 In Somalia, the implementation is carried out together with IMS-Fojo in Somalia as part of a three year long media programme.